Sal Logistics handles over-dimensional shipments safely and legally. Our experienced team has expertise with the required permits, legal restrictions and specific equipment to transport your over-dimensional freight. Contact us for your over-dimensional shipments. We provide freight services for out of India only. Kvm Air Cargo Pvt. Ltd.
We are offering Heavy Weight Cargo Services. We have been offering bespoke cost effective global solutions. Our core vision is to focus logistics management services to our client by deploying our skilled resources to various segments of clients. Our project cargo offers integrated logistics project management & transportation services to ensure your freight reaches its destination according to plan. Viraj Logistics handles over-dimensional shipments safely and legally. Our experienced team has expertise with the required permits, legal restrictions and specific equipment to transport your over-dimensional freight. Contact us for your over-dimensional shipments. Starting Location: Any factory or Ware Godown or Port in Any Country. PEX can ship heavy weight cargo to virtually any market. 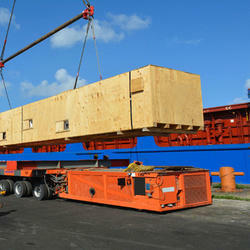 With local facilities in all countries, we can arrange all the details, including customs clearance and final delivery. We offer our clients reliable and timely services for transportation from North to East & South. We are providing service specially for light weight all over India with our large fleet (with extra Length & high cube) of transports. We can ship heavy weight cargo to virtually any market. With local facilities in all countries, we can arrange all the details, including customs clearance and final delivery. When cost is of paramount importance, use our Express Freight Service. Your heavy weight Airfreight shipment will be handled with the same care. 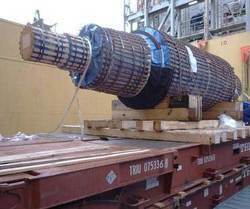 The construction of industrial plants and large infrastructure projects, as well as the manufacturing of oversized equipment and modules, present highly challenging and complex project logistics problems that often involve the transportation of very heavy and oversized loads. We are a dedicated heavy lift player in which we made an equity investment. Since demand for large-scale cargo transport related to energy and infrastructure development is steady, we expect this business to be one of our major business sectors. Do you have a complex shipment that does not fit to any regular container and needs a flexible and cost effective solution on how it can be shipped Then you should consider talking with Dhruva Logistics. We provides a freight logistics solution for over-sized and over dimensional cargo shipped by sea or air. Dhruva Logistics India Pvt. Ltd.